The Jeju World Natural Heritage Center will hold the 10th Jeju International Photo Contest Exhibition by Feb. 18. Under the title of "Discover Jeju's Beauty Through Photographs", the exhibition is designed to provide visitors with a chance to meet not only Jeju's representative attractions, but also hidden scenes through photos. At the exhibition, 20 award-winning works, including 22 best-selling works of the 10th Jeju International Photo Contest Exhibition, will be exhibited together. In particular, 362 awards from the first to tenth exhibitions can be seen through the beam project. The Jeju International Photo Exhibition has been held annually with the Dong-A Ilbo since 2009, and many art works have been exhibited over the past year. The number of participants from overseas increased every year (from four countries to 28 countries) and is also becoming an international event. The winning work of the Jeju International Photography Contest is promoting Jeju's value through overseas advancement. In April, the Jeju International Photography Contest will be held at the twin-city Aomori Prefecture (Shirakami Mountain Zipji Center) in Japan. The Jeju International Photo Contest Exhibition, which marks the 10th anniversary this year, will be a great opportunity to see various aspects of Jeju. 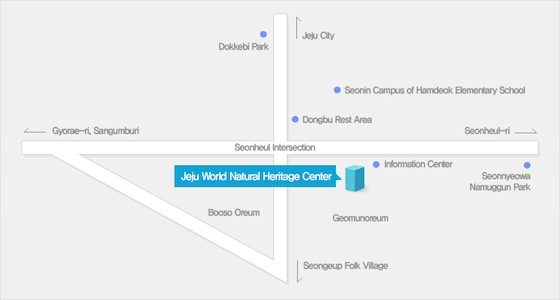 The Jeju World Natural Heritage Center is at 569-36, Seongyo-ro, Jeju-si. It closes on first Tuesday of every month, Seollal (Lunar New Year). The operating hour is 9:00 to 19:00. For more information, please call +82-1800-2002.